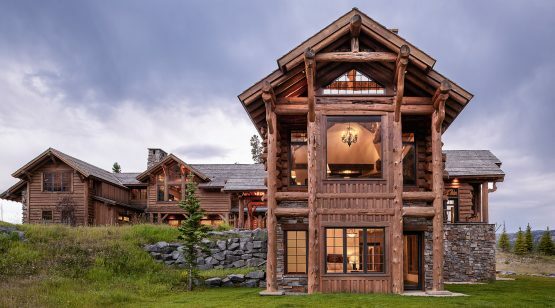 Pine Ridge 325 evokes deep emotions and reverence for the natural world. 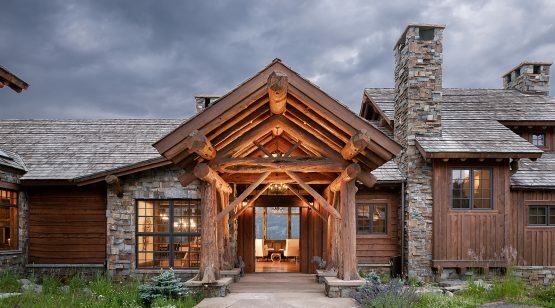 This impressive residence boasts nearly 15,000 square feet of indoor and outdoor living space. 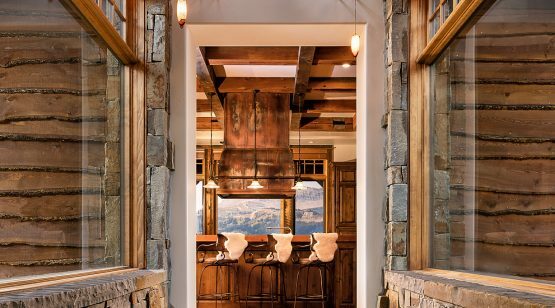 The scale of the home mirrors the grand scale of the mountains; careful window placement allows maximum views of Lone Peak, Eglise, Cedar, and Pioneer Mountains from nearly every room. 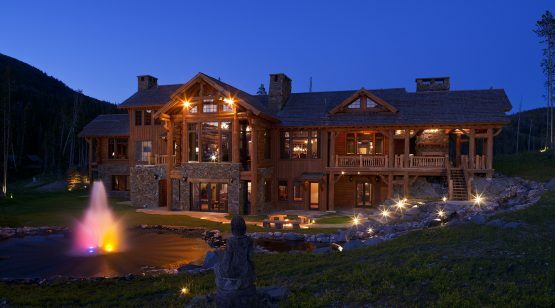 Outside the home, a “jumping stream” water feature encircles the house, ending in a large pond, complete with a fountain that evokes the natural geysers found in nearby Yellowstone National Park. 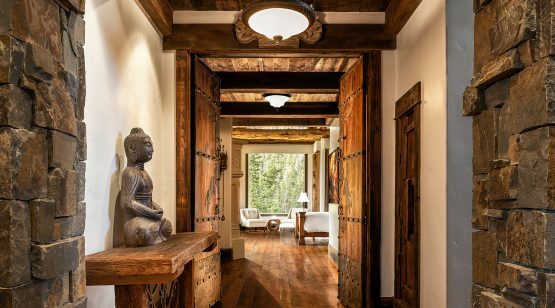 Upon their arrival, guests cross a stone bridge covering the home’s water feature, and are welcomed by the rustic timbered porch, the beams of which are crafted from solid trees. 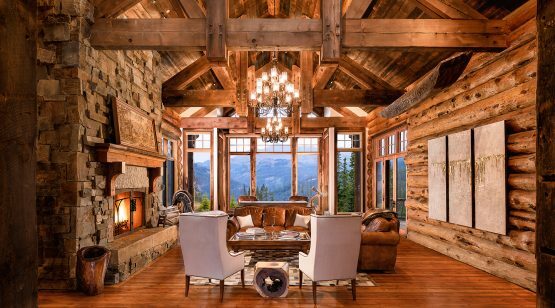 Once inside, the great room envelops guests and residents in warm tones and majestic views. 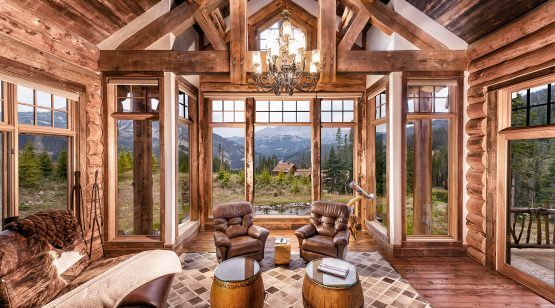 The two-sided central fireplace takes center stage, and the tawny leather couches provide an intimate gathering space for sparking conversation and warm nights. 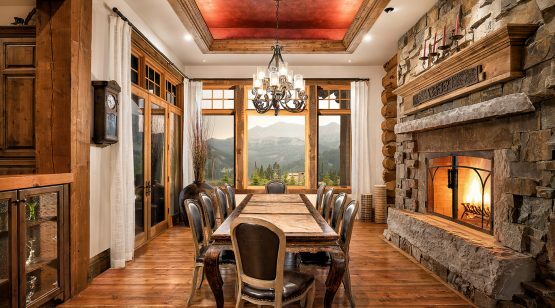 A second seating area offers stunning views and beautiful cowhide-upholstered furniture. 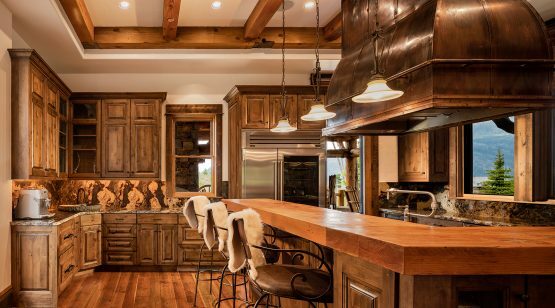 Kitchen and dining areas are adjacent to the great room. 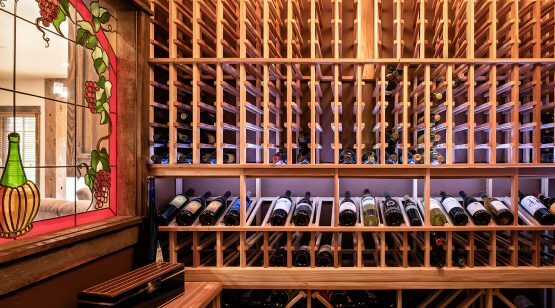 Both feature comfortable and elegant amenities, such as a fireside dining table to seat ten, ample bar-height dining in the kitchen, upscale appliances, and a combination of butcher-block and marble countertops. 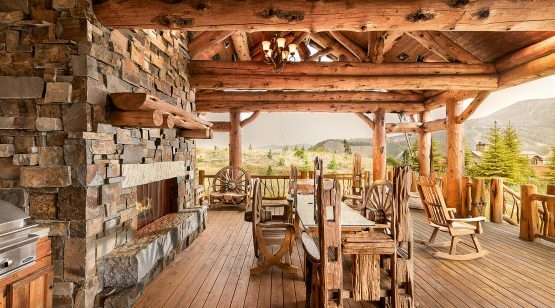 The kitchen and dining rooms open to a covered porch complete with a casual dining table, outdoor fireplace, and abundant four-season furniture. 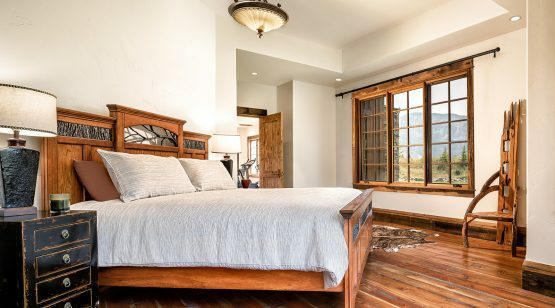 The home’s master suite is also found on the main level. 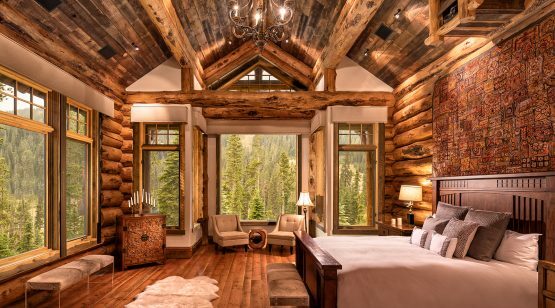 The airy bedroom becomes more intimate with a cozy seating area, framed with spectacular views of Lone Peak. 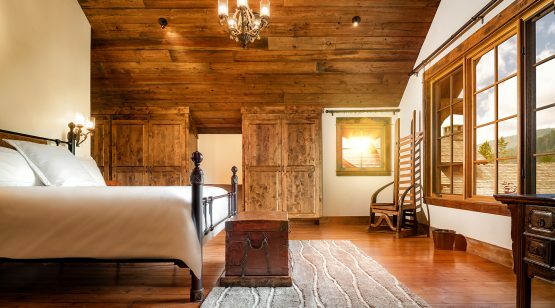 The bedroom also features a large walk-in closet and a luxurious bathroom. 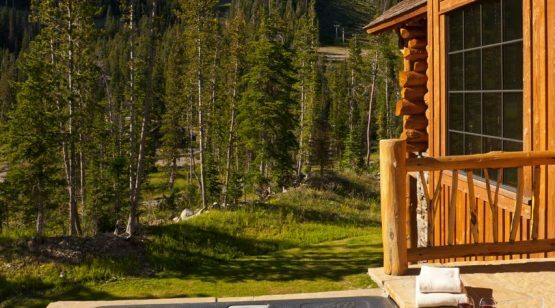 Enjoy views of Pioneer and Cedar Mountains from the large corner whirlpool tub. The bathroom contains privacy-fogging windows and a flat-screen television. The lower level is far from average. 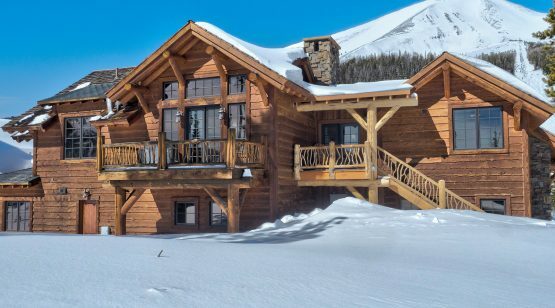 Private skiing access is right outside the door of the ski room, which also features convenient boot warmers and lockers for gear storage. 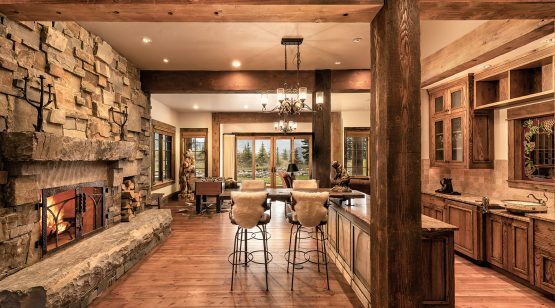 A large rec room and fireplace seating area provide space for gatherings, and a well-equipped exercise room helps all family members stay active. The furnished home theater offers a sumptuous retreat for cold winter evenings. The lower level also features a second master suite, a smaller suite, and one bunkroom. 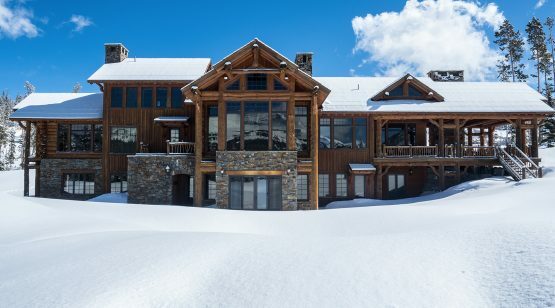 This residence has a spacious four-stall garage, including one stall with pull-through parking. Above the garage is a furnished, three-bedroom guest quarter. 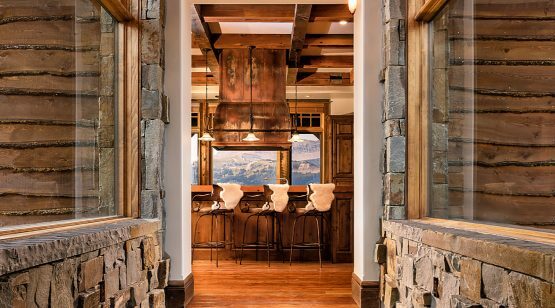 This wing presents guests with a roomy kitchen, dining area, and fabulous views of Lone Peak. 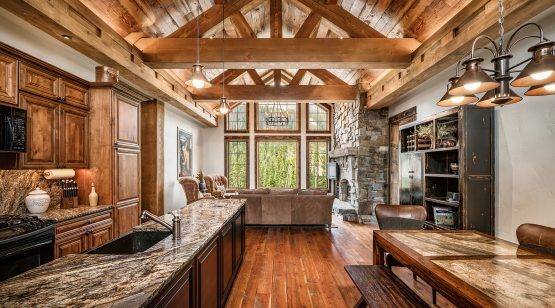 Pine Ridge 325 is a custom home that will encourage family adventures and outdoor vacations that create memories for a lifetime.